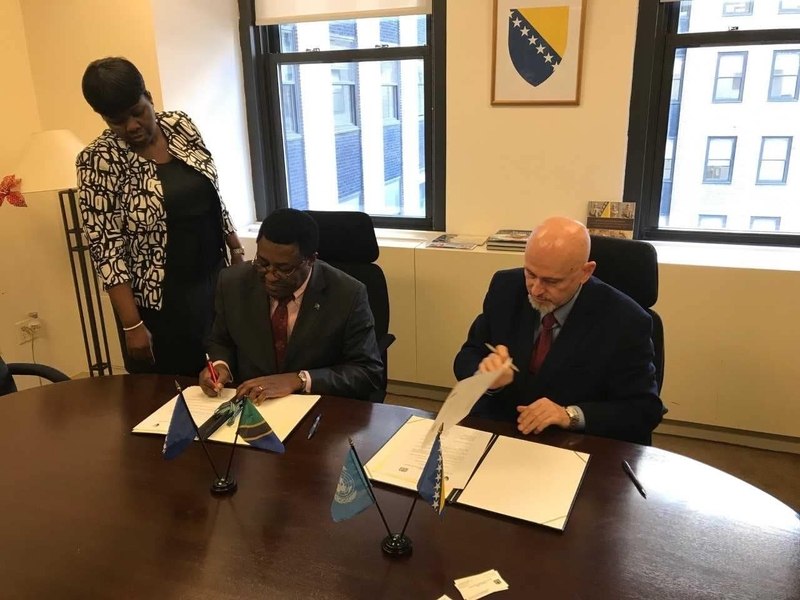 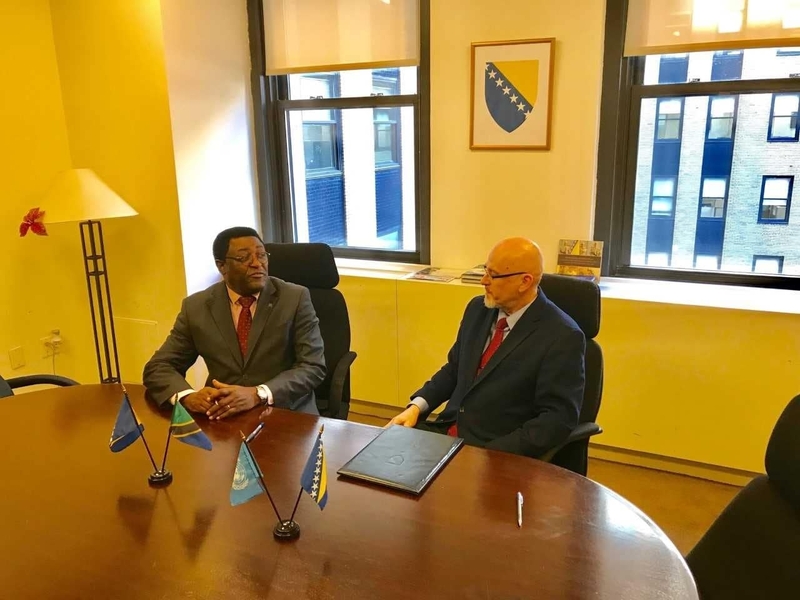 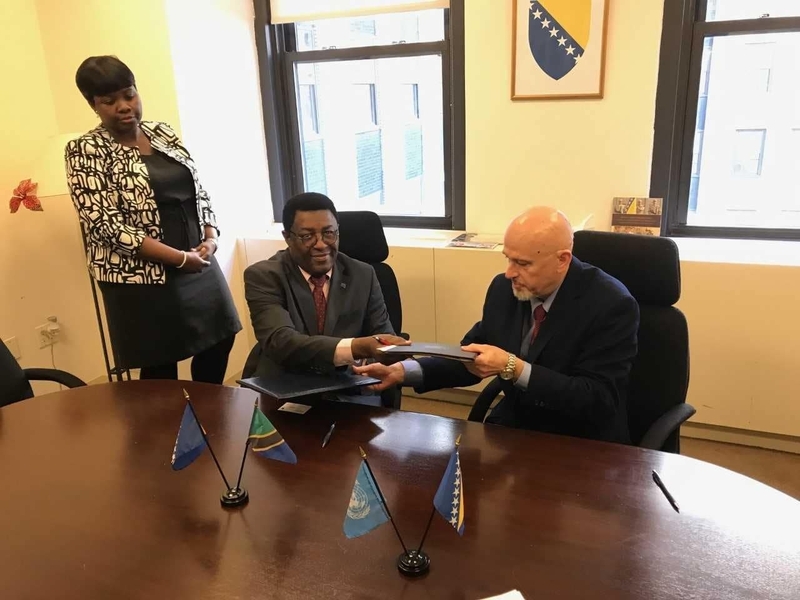 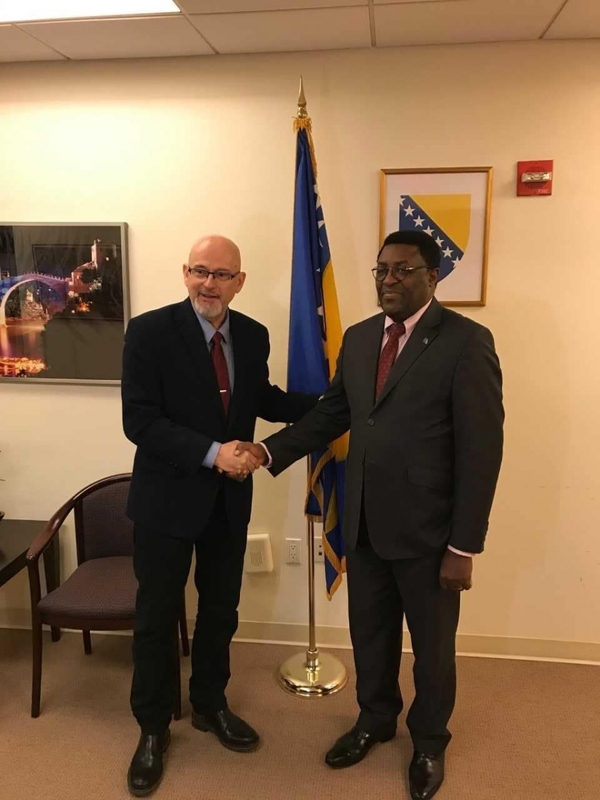 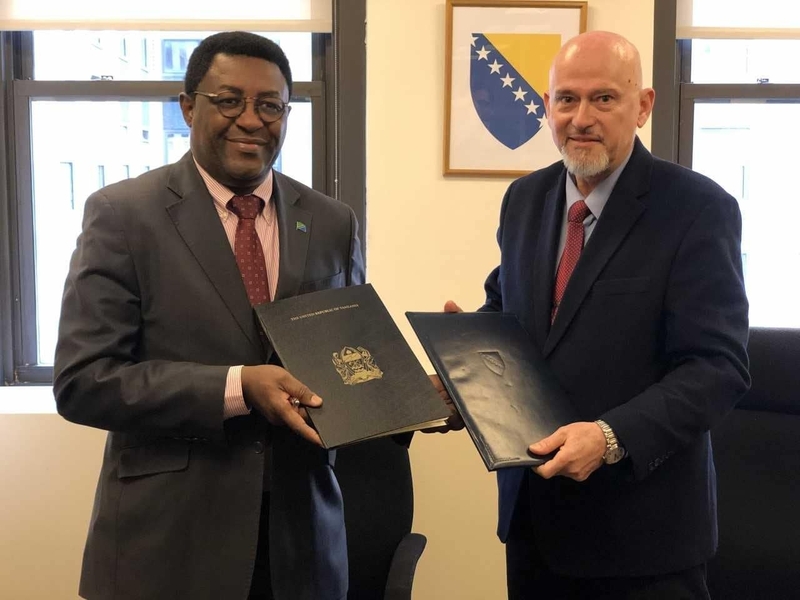 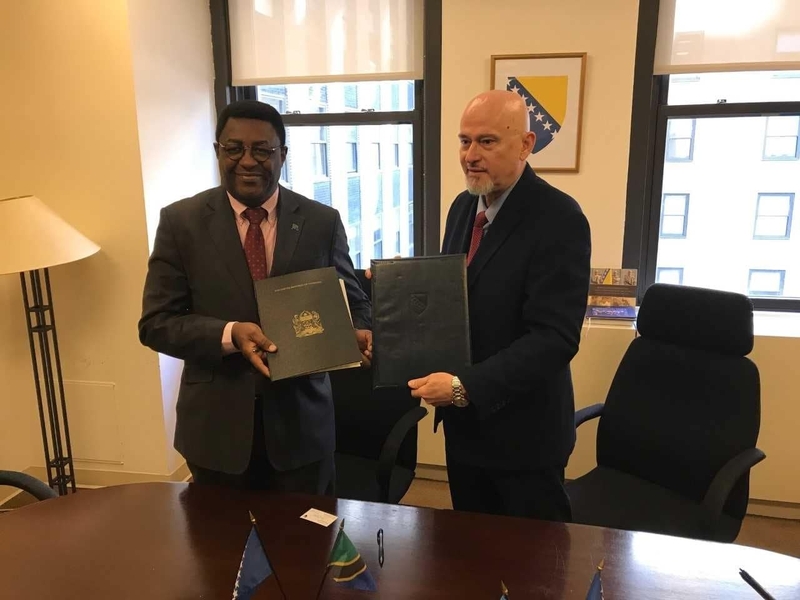 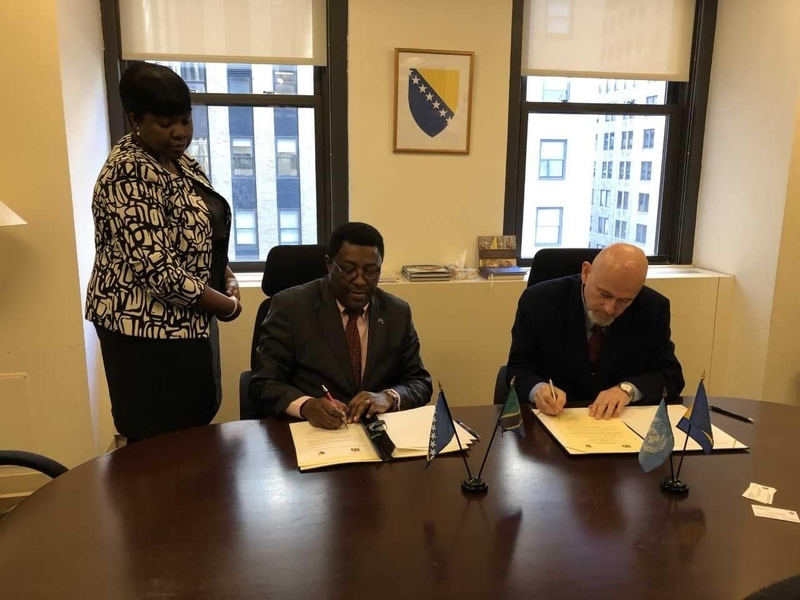 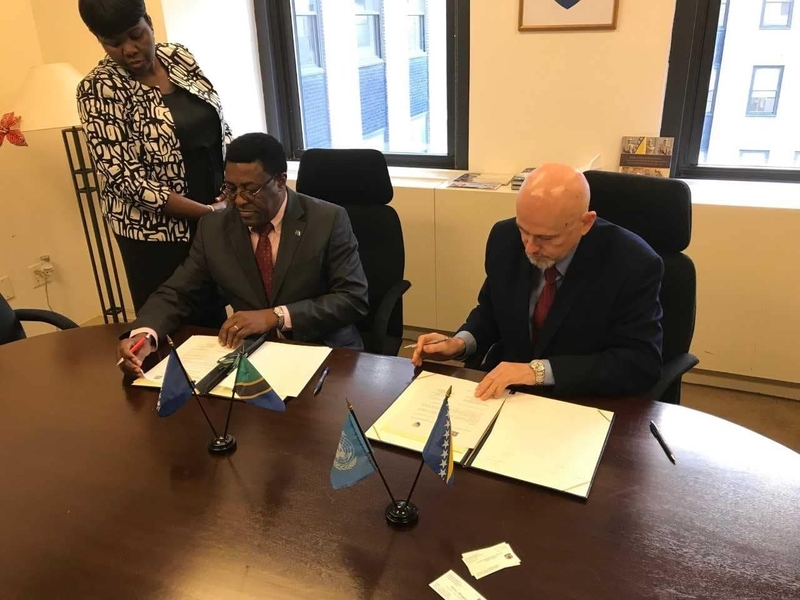 Having signed the Joint Communique today, 25th January 2019 at the Permanent Mission of Bosnia and Herzegovina to the UN in New York, Ambassador Ivica Dronjic, Permanent Representative of Bosnia and Herzegovina to the UN, and Ambassador Modest Jonathan Mero, Permanent Representative of United Republic of Tanzania to the UN officially established the diplomatic relations between the two Countries. 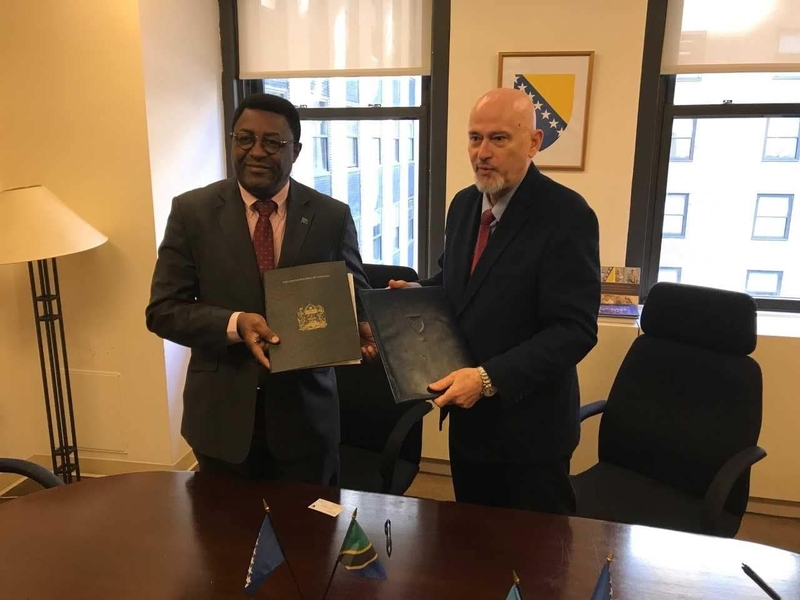 Thus, Tanzania became 174th Country that Bosnia and Herzegovina have diplomatic relations with. 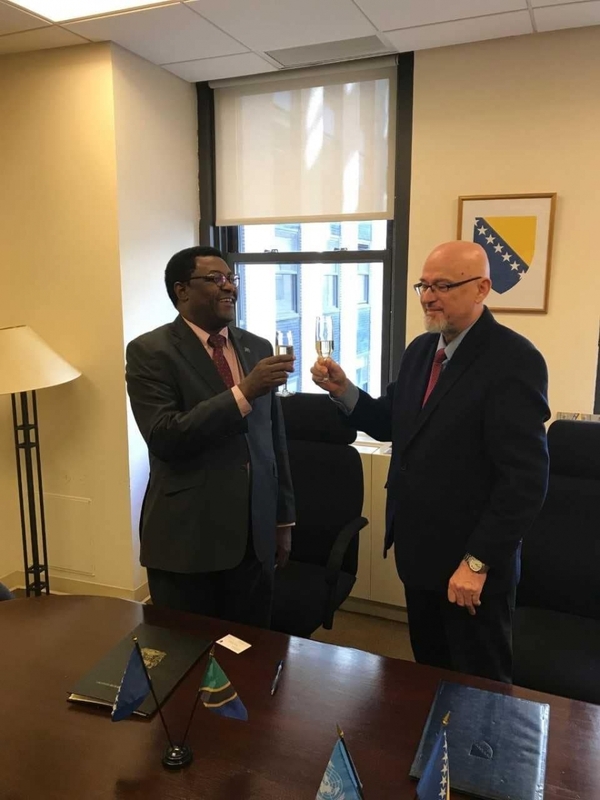 After the ceremony, the two Ambassadors discussed the possibilities for improving economic relations, alleviating the visa regime and advancing cooperation in multilateral affairs. 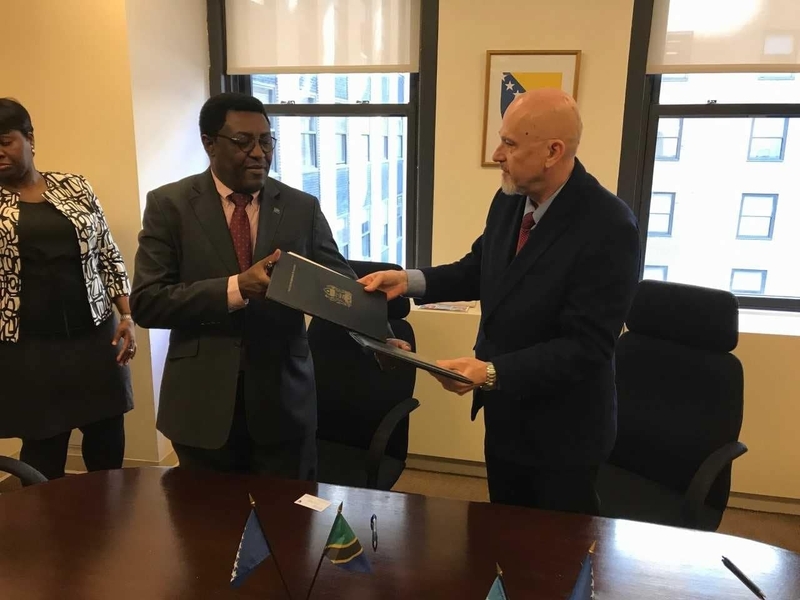 The United Republic of Tanzania is a country in the region of the Great Lakes in South East Africa, with a population of 55 million and area of nearly one million square kilometers. 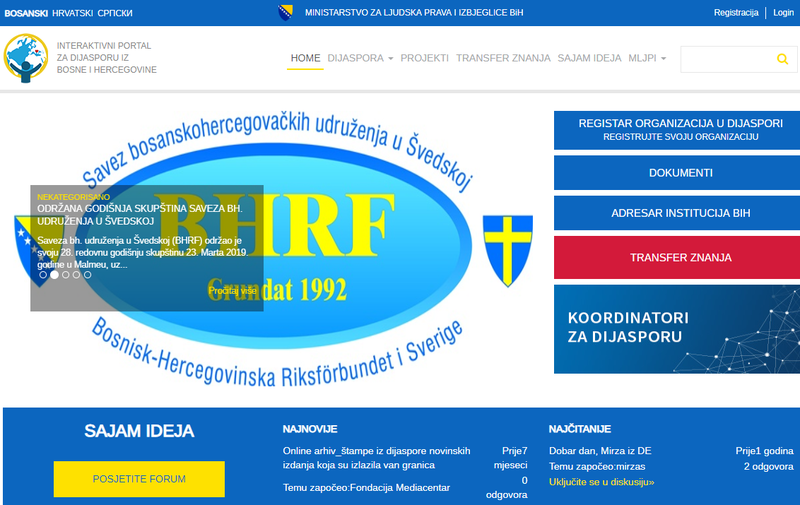 (947.303 km²). 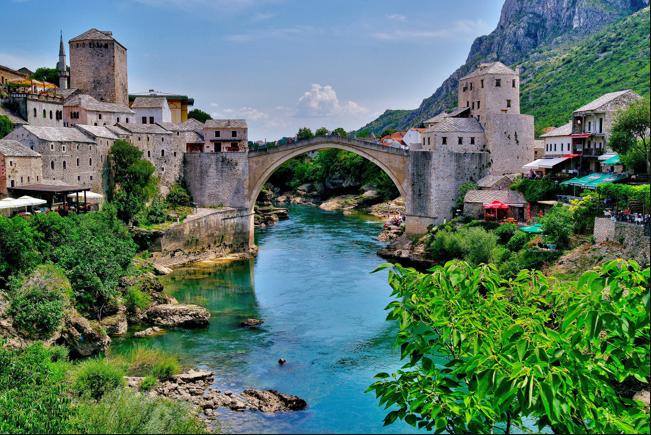 Majority of the population are Christians (61%) and Muslims (35%). 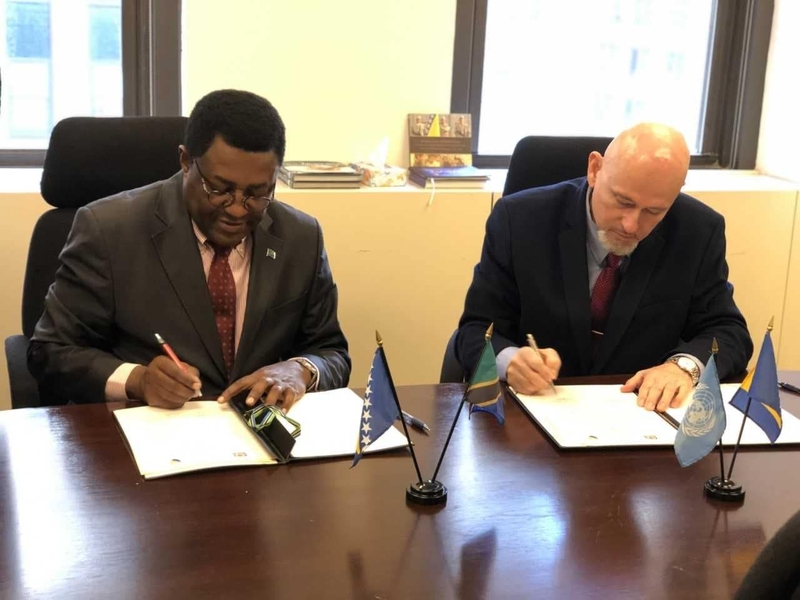 The Capital is Dodom and largest city is Dar es Salaam.